Before joining SIB in 2001, Valentina spent over 10 years as a researcher in the field of human and molecular genetics – at the La Sapienza University of Rome and other universities as well as at the National Institue of Health in the United States – and a further two years as an examiner at the European Patent Office in Munich. These experiences endowed her with in-depth knowledge of European Patent rules and procedures, and a strong background in biotechnology. She has drafted and prosecuted patent applications for, and provided advice on patent protection to, leading multinational and Italian chemical and biotech companies. Her clients also include universities and research organisations in Italy and abroad. Valentina is part of SIB’s Nano Bio Team, a multidisciplinary group of experts that deals with drafting, filing and prosecuting patent applications concerning new technologies, particularly the nanotechnology platform. She is enrolled with the Register of Court-Appointed Experts on Industrial Property of the Court of Rome, which is the Italian Court with the largest specialised IP section. 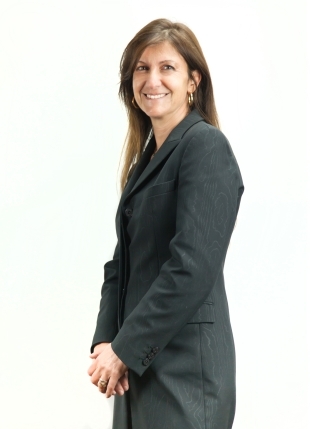 Valentina holds lectures on patent issues in Italy. Italian and European patents in the field of biotechnology. Member of the Ordine dei Consulenti in Proprietà Industriale (Italian Industrial Property Consultants Institute), of the Institute of Professional Representatives before the European Patent Office, of the Italian Institute of Biologists; enrolled with the Register of Court-Appointed Experts on Industrial Property of the Court of Rome. Italian and European Patent Attorney, Community Design Attorney. In 2016 she has participated in the University of Milan’s Advanced Course in patenting accredited for the release of Patent Litigator Certificate for the upcoming Unified Patent Court (UPC). Five-year degree with honours in Biology, La Sapienza University of Rome. Scientific Assistant at the National Institute of Health of Bethesda, Maryland. PhD in Genetics and Molecular Biology, La Sapienza University of Rome. Specialisation in Applied Genetics, La Sapienza University of Rome.